This calculator can compute area of the triangle, altitudes of a triangle, medians of a triangle, centroid, circumcenter and orthocenter. 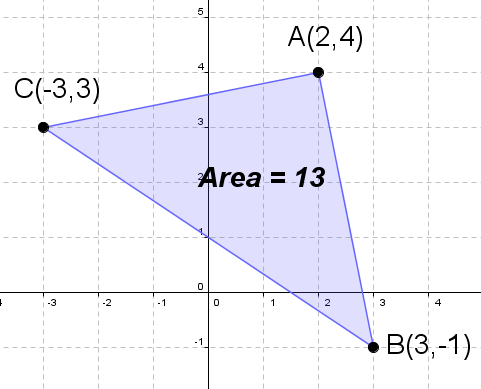 Find the area of the triangle whose vertices are $A(2, 4), B(3, -1)$ and $C(-3, 3)$. 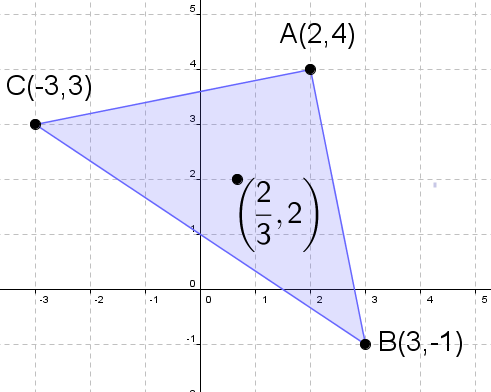 Find the centroid of the triangle whose vertices are $A(2, 4), B(3, -1)$ and $C(-3, 3)$.